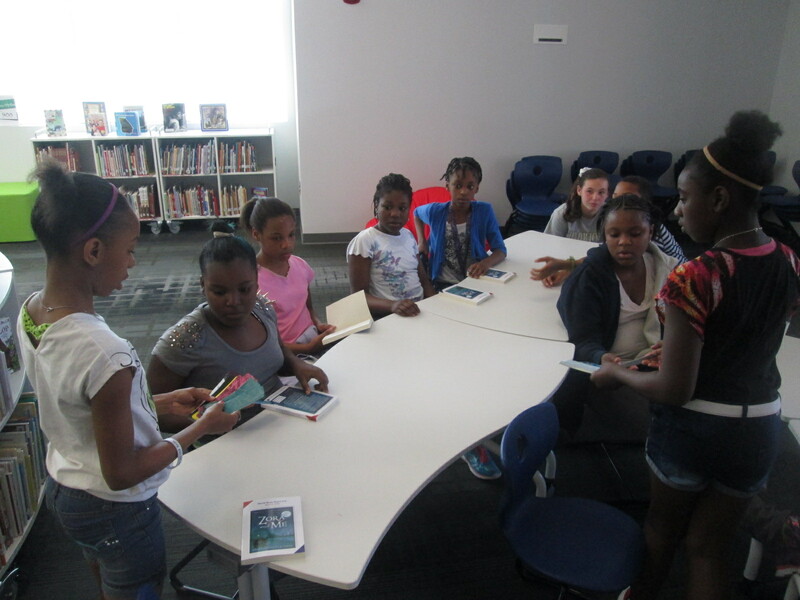 Our book budget students have continued to meet with vendors to spend our $5,000 James Patterson Partnership grant. They have gone through a long process to create a survey, survey students, analyze data, set goals, and meet with vendors to create consideration lists. They met with Jim Boon of Capstone Press and Gret Hechenbleikner of Gumdrop books. Students have just finished meeting with their final vendor, Avid Bookshop. We love working with our local independent bookshop. They are always willing to come into the school or Skype in to share books with us for projects. 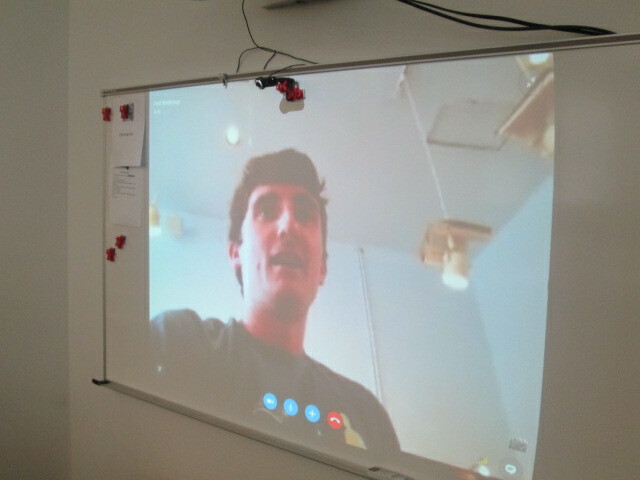 Will Walton, author and bookseller, came in to do book talks with our 3 small groups of book budget students. Each grade comes in separately for 30 minutes, and each group picks up where the previous group left off. 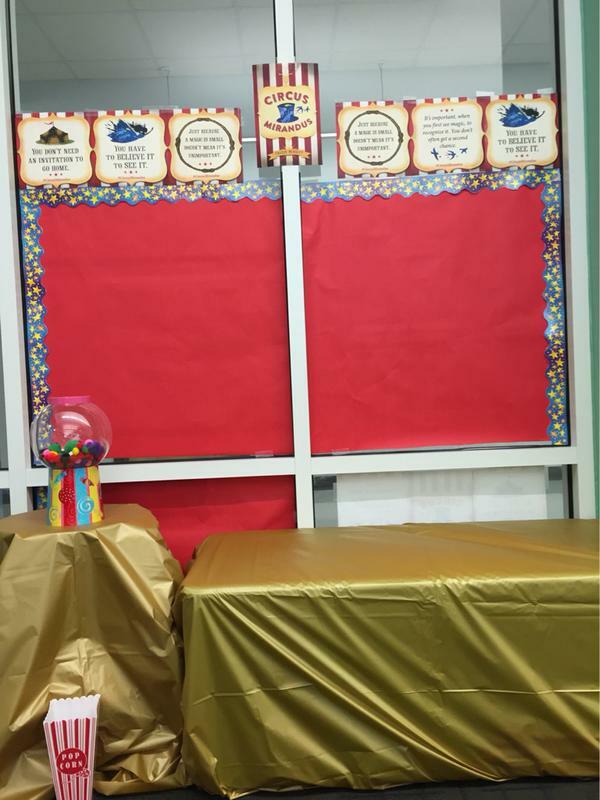 We pulled up our goals on the screen so that Will could use them as a talking point with students. He brought some Advance Reader Copies of books that might meet our goals but also offered his own knowledge of books that matched many of our goals such as graphic novels, scary, and humorous stories. As Will talked, I was in charge of creating a Google doc of the books so that students could look back at them later. One of the things that I absolutely loved as Will was talking was how our students were getting hooked on the books he was talking about. 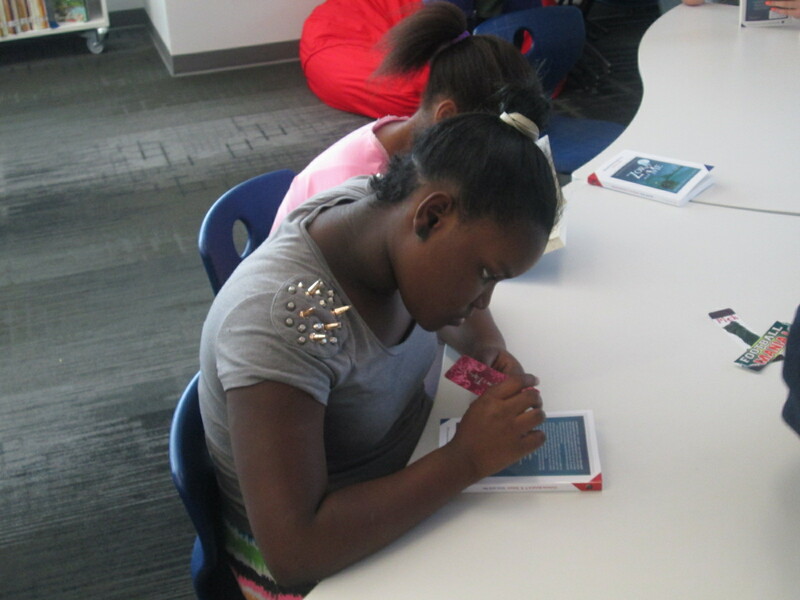 There was an immediate trust of Will, and several students found a book that they personally wanted to read. He graciously handed out some the ARCs and told students to read them and pass them on to someone else. He also encouraged students to come in and visit Avid Bookshop. Several requested that he write down the address of the shop since they had never actually been inside. Will also started thinking of certain authors and series and going onto the shelves of our library to find them. 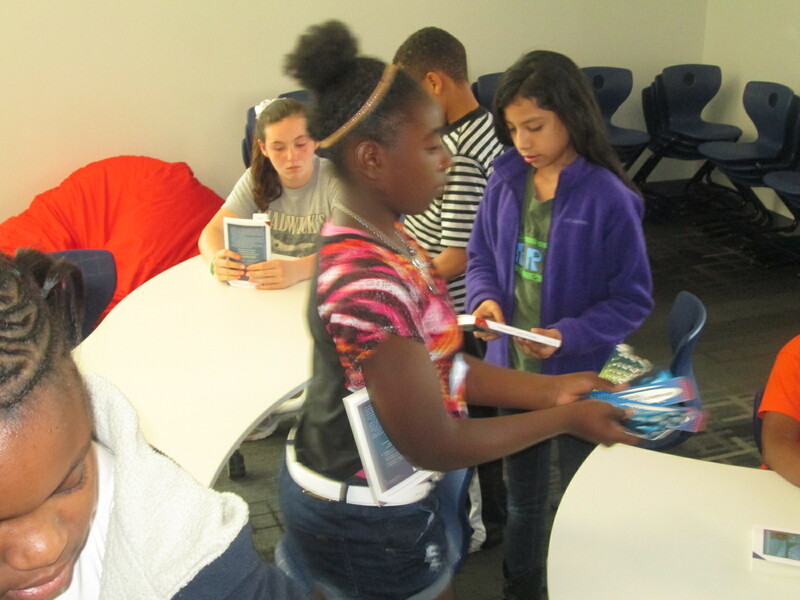 He handed out several of our own books and students checked them out to read. He really reminded me of the importance of book talks and how I really need to be doing this more than I am! After Will left, we continued to work on our Avid list. I email it to Janet Geddis and the Avid team. They will now check the list to make sure all of the titles are available, and they will send us a quote to help us narrow down our list to what we will actually purchase. Students have two more meetings before the holidays, so we hope we can fine tune all 3 of our lists to match our $5,000 budget. 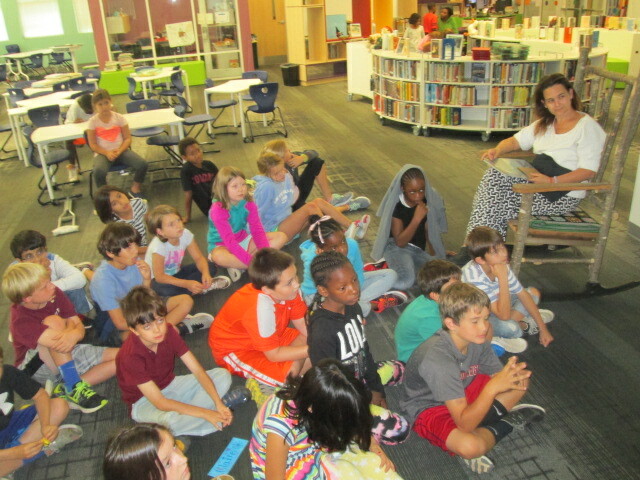 A few weeks ago Ms. Tesler, a fourth grade teacher, dropped by the library and started talking about a wish for her students to have ways to share the books that they are reading. I love impromptu brainstorming sessions because I never know where they will lead. So often, they lead to miraculous things. Before she left, we had decided to assign her class an area of the library to be their recommendation space. As a part of their leadership in the school, they would find ways to share with others about the books that they were reading. We didn’t want to decide too much for them, so we just got some initial ideas to begin sharing with the class. We held a book tasting where students started selecting books for independent reading and we planted the seed that students would have an area in the library to share their book recommendations. 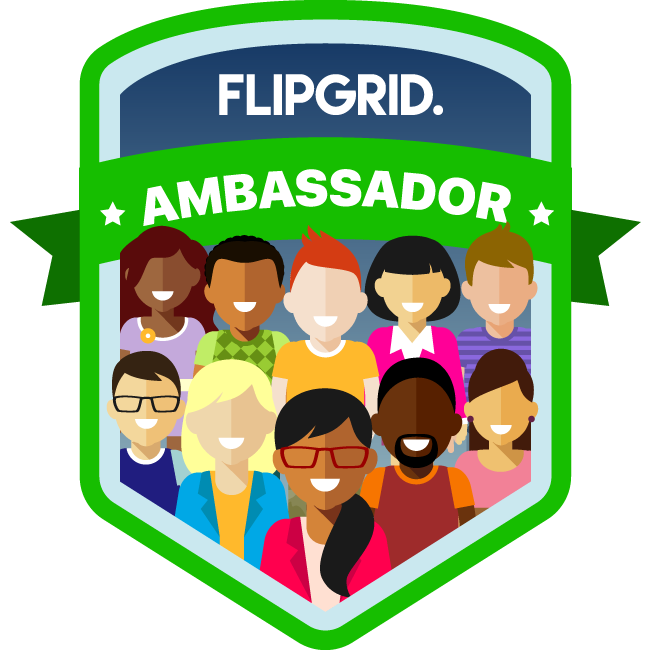 During that session, the students and I talked about ideas such as a digital display using Flipgrid to share book talks. We talked about space to create art projects to spark interest in a book. We also briefly talked about shelf talkers. At the time, we just talked about putting “signs” on the shelf to tell about the book, but I knew that students were really talking about shelf talkers. I immediately thought of Avid Bookshop and the wonderful shelf talkers that their book sellers put on the shelves of the shop to connect readers with books, so I emailed Janet Geddis at Avid to see about the possibility of Skyping into the shop to see the shelf talkers, hear a few, and get some tips on writing them. 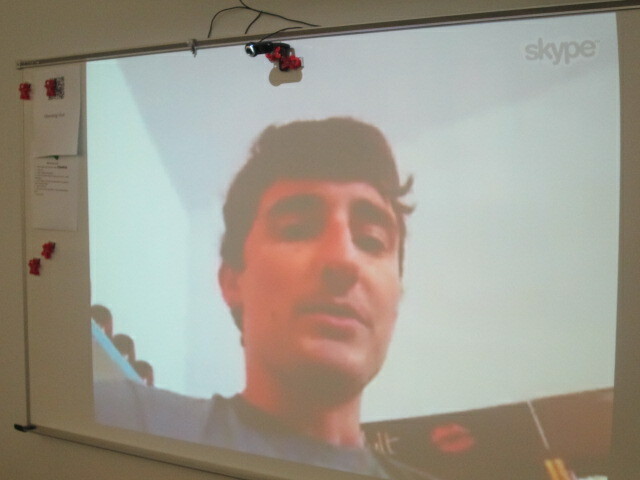 Will Walton, bookseller and author extraordinaire, agreed to Skype with us. Students came to the library and we connected with Will. He walked us around the shop to actually see the shelf talkers on the shelves. The first one he showed us was for Anne of Green Gables. He pointed out that the text was written in green to go along with the book. 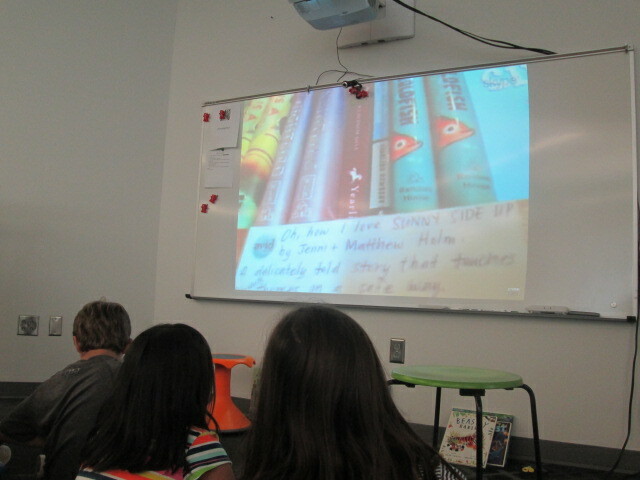 We saw that the handwriting was inviting and legible and the shelf talker gave a lot of description about the book. Will pointed out to us that it’s important to include the title and author on the shelf talker because sometimes the books get moved down the shelf or even the shelf talker gets moved. Having the title an author helps customers still learn about the book even if it gets moved. 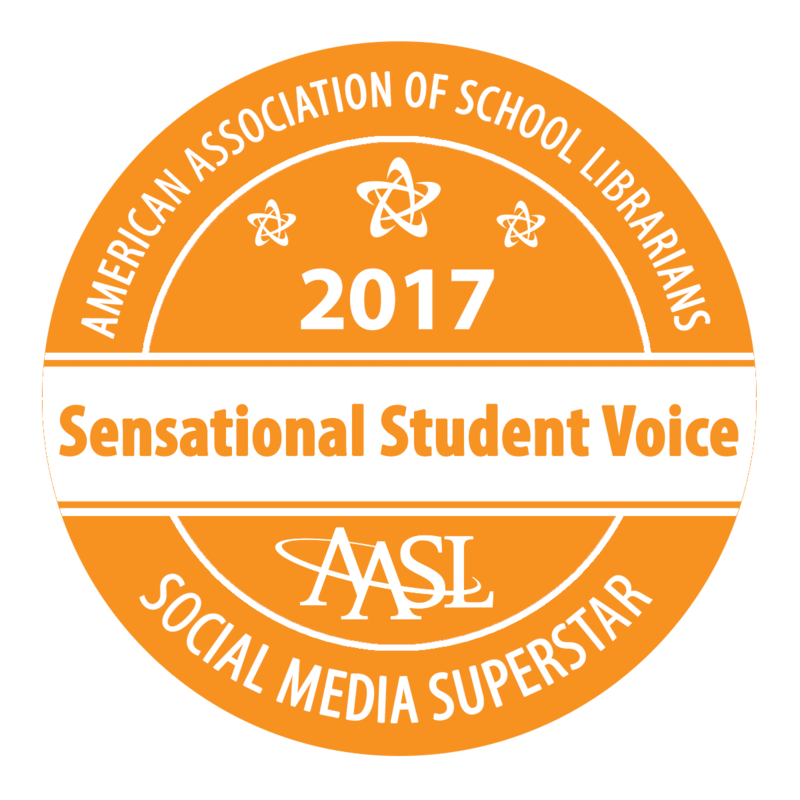 We connected this to the idea that books in our library will most likely get checked out, but the shelf talker will remain to inform readers about a book they might consider in the future. I also loved that Will pointed out the language that was used in the shelf talker. 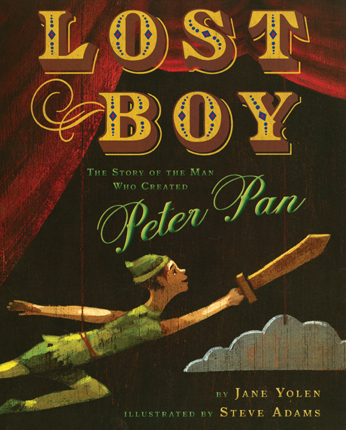 He specifically said that they don’t say that a book would be good for boys or girls. Instead, they connect the book to the kinds of things readers might enjoy reading about. 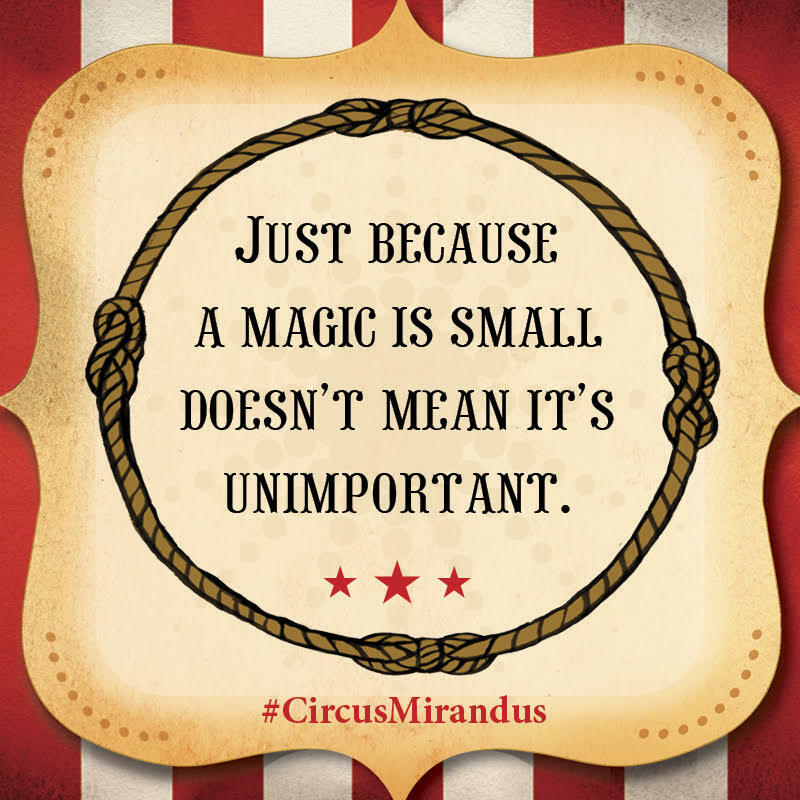 For example, this book would be a good choice for middle grade readers who like magic and horses. Will was sure to show us many shelf talker and how each was in the handwriting of the person who created it. They were fun, inviting, and even had personal touches like sketches. I loved that Avid customers were just as interested in what was going on during our Skype with Will. Students also got to meet Janet, bookshop owner, as well as hear the names of several other booksellers at the store. 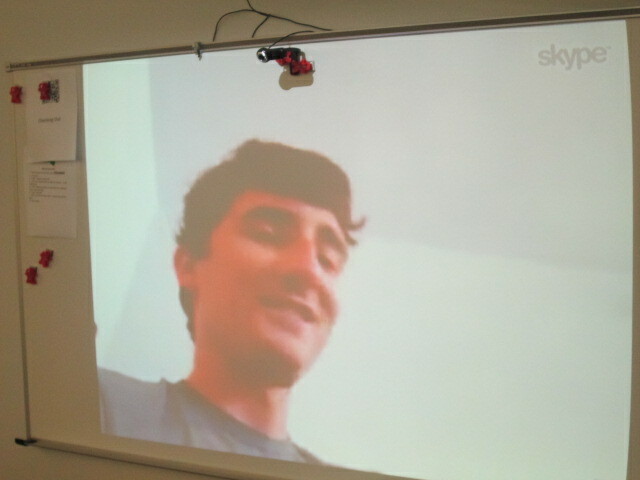 Before students disconnected, they shared some things they were taking away from Will’s Skype. After we disconnected, students continued to talk and even started talking about the book they wanted to write a shelf talker for. 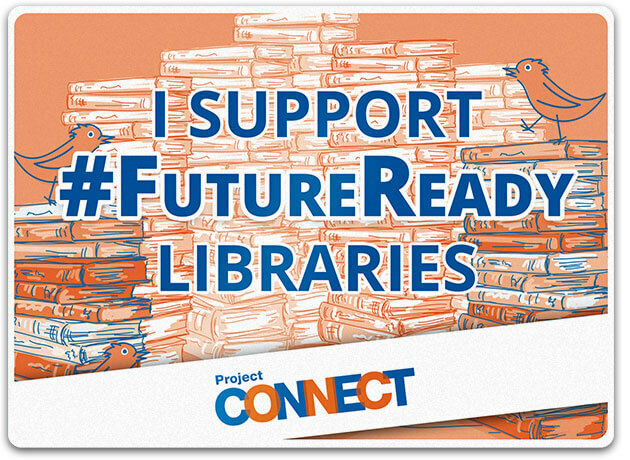 We are already planning a time for them to return and create the shelf talkers and begin constructing their space in the library to be leaders in our school for recommending books for others. I hope many of these students will visit Avid and see the shelf talkers in person and continue to ask Will and Janet questions about the shop. Some of them were asking how close it was to the school, so I know there is curiosity brewing. I’m so thankful to have a bookshop in our community that reaches out and supports our schools. A few weeks ago our local independent bookshop, Avid Bookshop, emailed me with an opportunity. Sarah Weeks, author of Pie and many other great books, was coming to Athens, and they wanted her to visit our school. Hooray! I try to jump at every author visit I can get. For the visit, I needed to presale some books, which I always do, but this time we wanted to try something new and crazy. I’ve always wanted to do a school wide read, but I have never gotten the idea off the ground. I saw this as a perfect chance to try it with a smaller number of students rather than the whole school. This author visit focused on upper grades. Our 5th graders would be gone to Skidaway on a field trip, so 3rd and 4th grade would be the classes coming to the visit. Rather than asking every student to buy a copy of the book, I decided to try a GoFundMe campaign to raise enough money to give every 3rd and 4th grader a copy of Pie as well as buy a few copies of Honey to give away to a few students. In just under 1 month, 28 donors funded our project. These donors included community members, grandparents, families, and friends from around the country. Thank you to each one of these donors who made this crazy idea a reality. When Sarah Weeks came to visit our school, I got to make the exciting announcement and tell them about the 28 people who took time to donate money to the project. I also told them that the deal from me is that I want each one of them to read Pie. I want them to share it with families and spend time talking about it. I also want them to make things together like family recipes or even pies. My hope is that they will document this over the summer on a Padlet. Sarah Weeks was phenomenal in her visit and I highly recommend her to any schools looking for a great author visit. She built so many frequently asked questions into her talk such as “What was your first book?”, “What is your current book?”, “Do you get writer’s block?”, etc. Each question was answered with slides filled with great photographs, personal stories, and lots of funny moments. The students laughed so much at Sarah’s stories about boys painting their fingernails, kids doing puppets shows through the shirts, and dogs joining. She talked about a story arc and had students moving their hands to show the flow of a story through beginning, middle, and end. She also told them a story about a cowboy on a horse in the airport and paused along the way to point out what part of the arc she was in during the story. What a great connection to what they are learning in writing class! She showed them the many revisions that her work goes through and how important it is to listen to her editor. She connected this to all of the notes that students see on their writing papers and stressed how they needed to listen to their teachers’ comments because it helps make the writing better. Sarah has so many books that she couldn’t talk about them all. She started with books like the Oggie Cooder books and how he charves cheese into the shapes of states. We had one student who knew every state she showed a picture of! Sarah’s two new books are Glamourpuss and Honey. She treated the students to a full reading of Glamourpuss and the high-energy students were mesmerized. I loved how she showed Honey to the students. She showed several slides with single words that helped students know some things the books was about, but then she showed students several characters from the book along with text from the book that gave the students a taste of the character. Then, she showed the students how she had to do research to learn about how nail polish is made. This story connected with a great story about how some girls in a library were painting their nails and several boys were very curious. The librarian at the school hosted a nails at noon session in the library and it was attended by mostly boys who painted their nails and posed for some fierce pictures. I couldn’t believe how much Sarah packed into an hour long presentation. There was even time for Q & A. She was engaging, funny, and a pro at keeping the student’s attention. I loved getting to hang out with Sarah Weeks even for a brief time. She is a fun person and a talented writer. Thank you Avid Bookshop and Scholastic for bringing her to our school. Thank you to all of the donors who got Pie into the hands of all of our kids. As I went to car riders today, I saw several students in the hallway already reading their books while they waited. That’s what it’s all about! 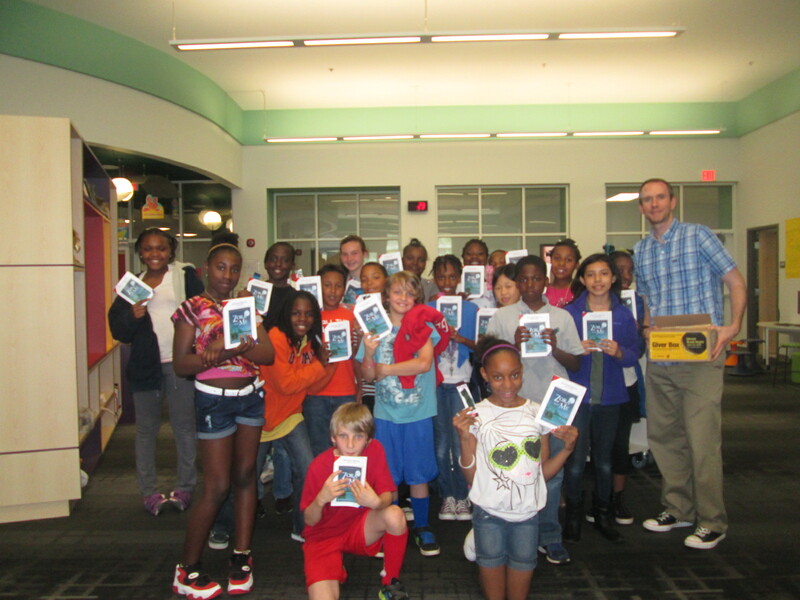 Last year was the first year that the Barrow Media Center participated in World Book Night. 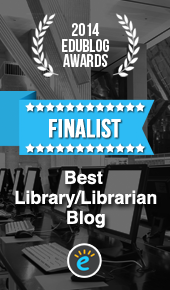 It was such a fun and rewarding experience, that I knew we had to do it again. 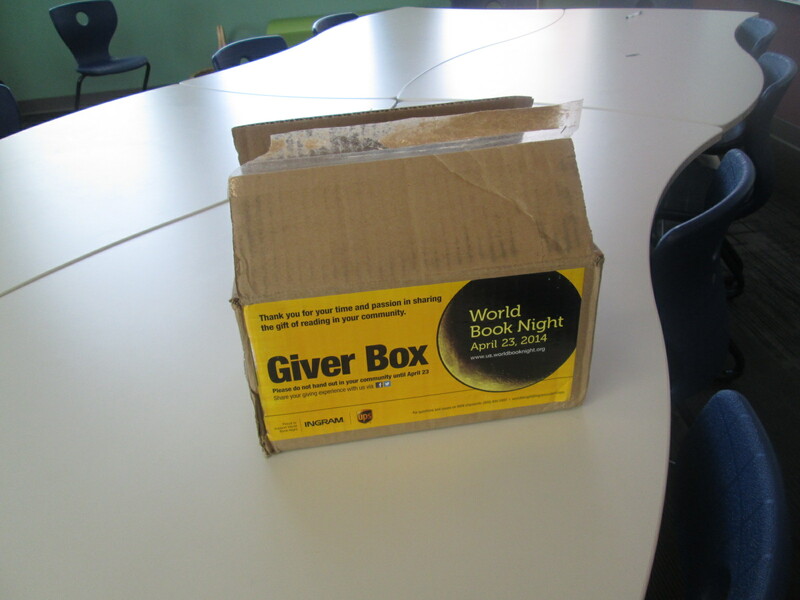 On World Book Night, each “giver” receives 20 copies of a certain book to hand out in the community. The process is really simple. A few months before April, applications open. 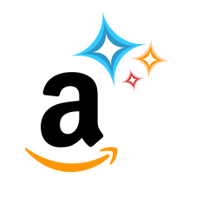 You submit an simple application explaining how you will hand out the books. If your application is approved, you select where you will pickup your books. I always pick mine up at our local independent bookstore, Avid Bookshop. They hold an event where givers can meet one another and exchange of ideas of how to hand out the books in the community. Then, on April 23, you hand out your books. 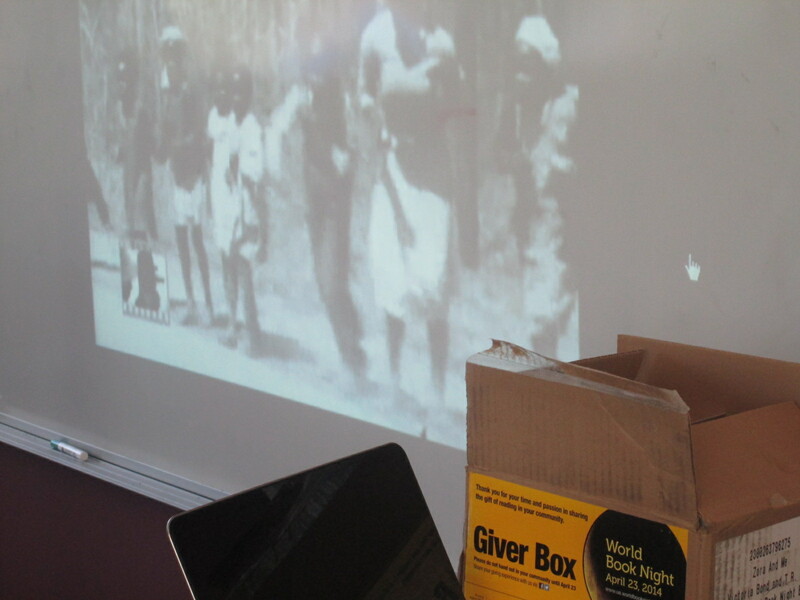 World Book Night is a nonprofit organization. We exist because of the support of thousands of book givers, booksellers, librarians, and financial supporters who believe in our mission. Successfully launched in the U.K. in 2011, World Book Night was first celebrated in the U.S. in 2012. This year, my book was Zora and Me by Victoria Bond and T.R. Simon. I was so happy that this was the book I was selected to give because it’s a book that I’ve hoped many of our students would pick up. Rather than randomly hand the book out in our community, I decided to target specific students in our school. Teachers in 4th and 5th grade helped me select 20 students via a Google doc. Each student was chosen for various reasons. 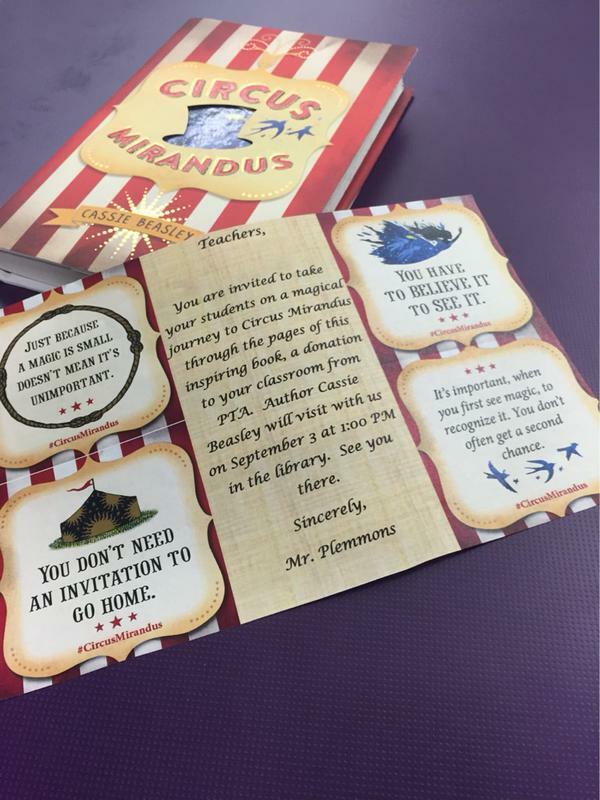 There was no set in stone way to choose a student other than we wanted to put the book in the hands of a student who could use a new book in their home library and who would enjoy reading this book. At 1:00, all of the students came to the library. I told them about World Book Night and we visited the World Book Night website. 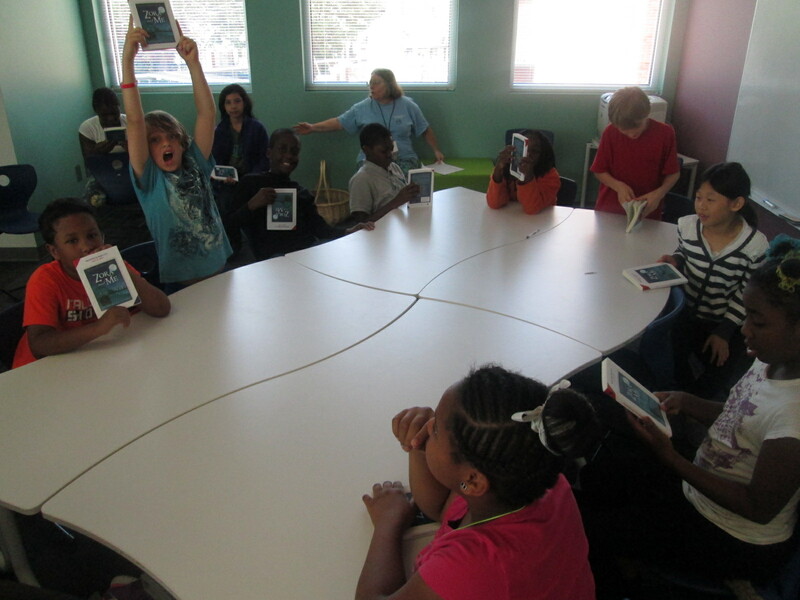 I told them about being a giver and picking up my books at Avid Bookshop. Then, I showed them the book. 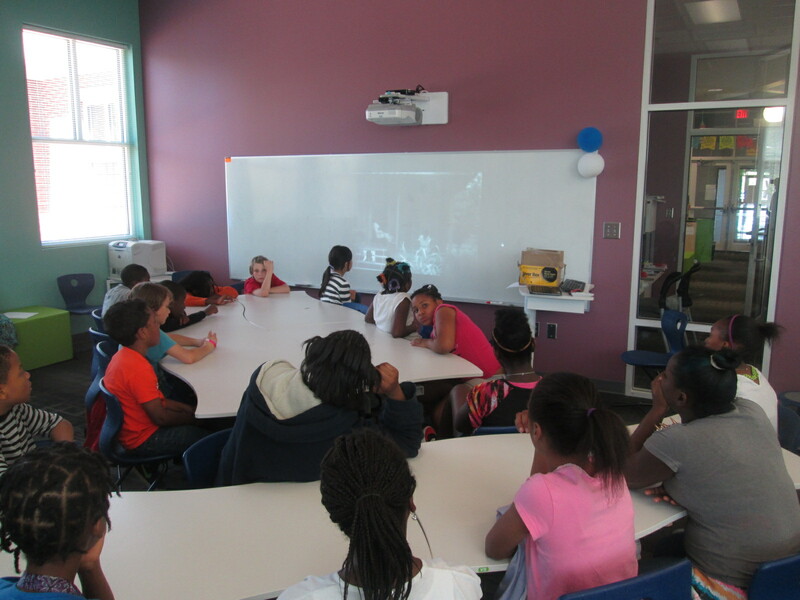 We visited the Candlewick site where we could watch a trailer for Zora and Me. I read the back of the book to all of the students. Then, I got to say the words I was so excited to say…”I’m giving a copy of Zora and Me to all of you. Every single student was so excited. Some of them jumped up to help pass them out to the group. I loved watching them immediately open the book and start reading it. I also gave them all a bookmark. I told them that my hope is that they would read the entire book, share it with their families, tell me what they thought of, and cherish the book as a part of their home libraries. I look forward to hearing from them very soon. One student told me she would probably have it finished by tomorrow! World Book Night is an amazing experience. It seems small when you first sign up, but you are filled with emotion when you put your book in someone’s hand with the wish that they will read it and love it. Over the past month, students from all grade levels at our school have been participating in a writing contest sponsored by Avid Bookshop, a new independent bookshop in Athens. We had over 50 students enter the contest, and I’ve heard that Avid received hundreds of entries from local schools. 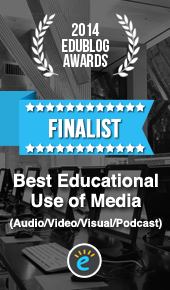 Today, the finalists were announced. They will be honored this Sunday November 13th at Avid from 1-3:00PM. Some of the students will read from their stories and the top winner will be announced. The top winner’s story will be submitted to a national contest sponsored by Chris Van Allsburg in celebration of his new compilation, The Chronicles of Harris Burdick. We hope to see lots of supporters at Avid on Sunday.